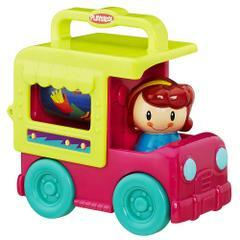 Perfect for at-home or on-the-go play! 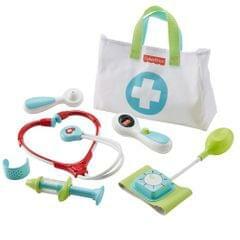 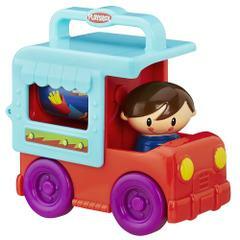 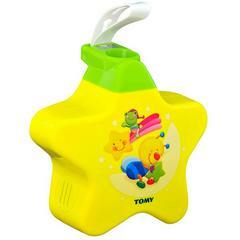 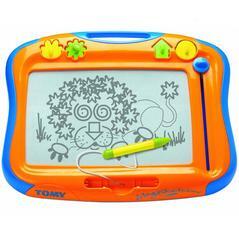 All toys are easy to grasp and sized just right for little hands to hold! 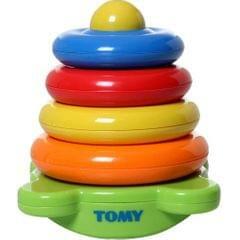 It's a jungle in here! 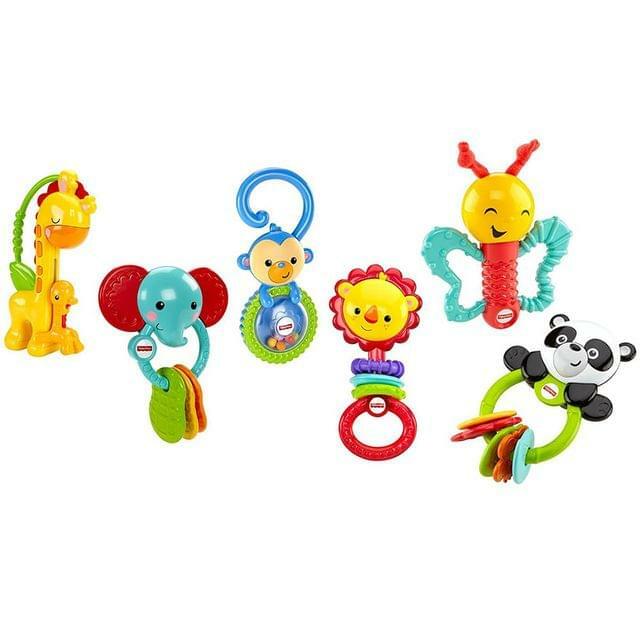 The Fisher-Price Playful Pals Gift Set includes 6 animal-themed activity toys that are designed to fit perfectly in your teeny-tiny one's hands and keep them busy, busy, busy! 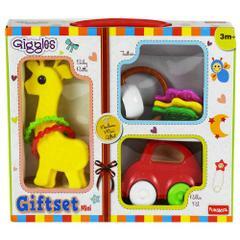 Giraffe Slider is an easy-to-grasp rattle with a sweet twist the baby giraffe slides up mommy's neck to give her a kiss! Panda Clackers reward little ones with fun sounds as they grasp & shake this lovable panda's clacker beads. 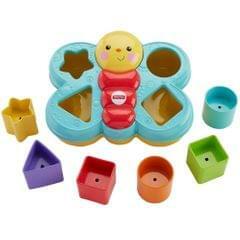 Lion Rattle features an adorable lion friend with colorful rings to shake and clack. 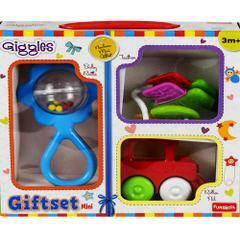 Gigglin Butterfly giggles when baby gives it a shake, and its textured wings are perfect for teething! 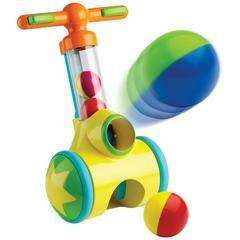 Monkey Rattle has a linkable tail and colorful rattle beads, so he's ready to shake, rattle & go anytime! 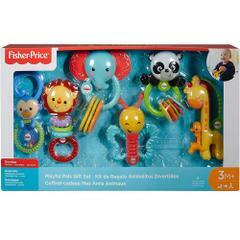 Elephant Teether is cute and fun, with textured ears and peanut clackers designed for teething!